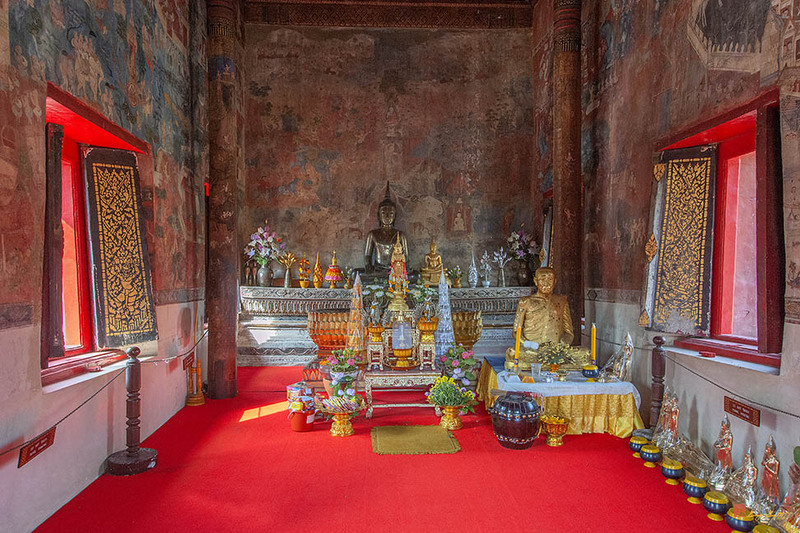 Wat Thung Sri Mueang (Wat Thung Si Muang), วัดทุ่งศรีเมือง, is located on Luang Road in Ubon Ratchathani. 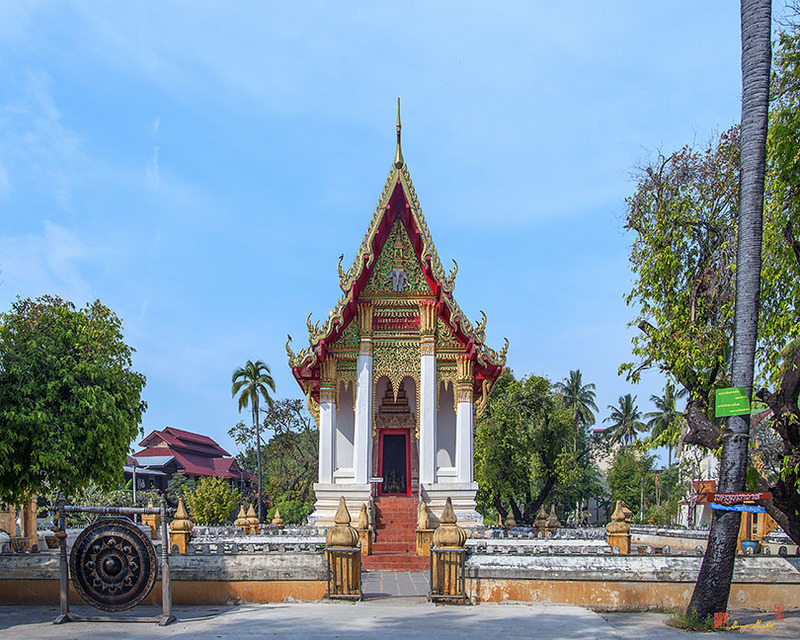 The temple was built by Venerable Chao Khun Phra Ariyawongsachan around 1829 during the reign of King Rama III and has a beautiful Ubosot (Ordination Hall) in the northeastern architectural style that is very tall in relation to its width. 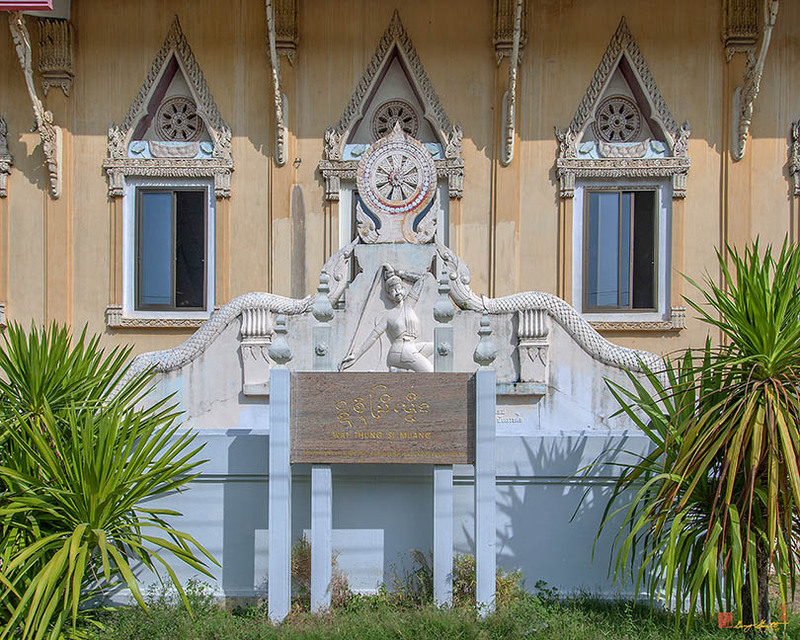 Venerable Chao Khun Phra Ariyawongsachan brought a replica of the Holy Footprint from Wat Srageath (Wat Saket, Temple of the Golden Mount) and a hall was constructed to house the replica. 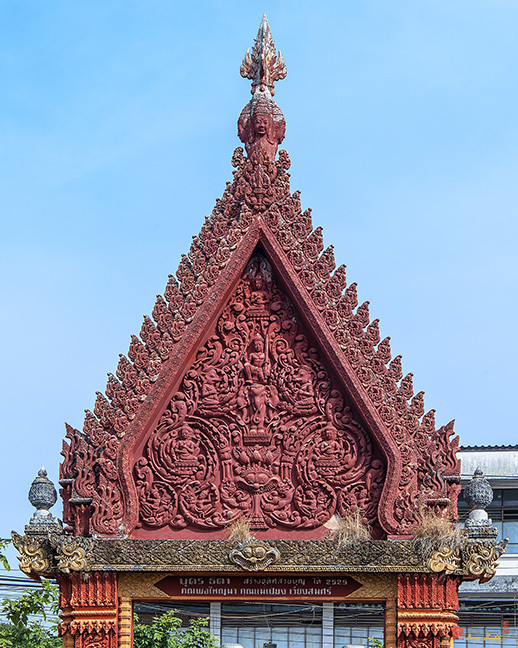 The hall was transformed into the Ubosot (main chapel or Ordination Hall) in 1829 by Ykhuchang, a monk from Vientiane who was expert in construction work. 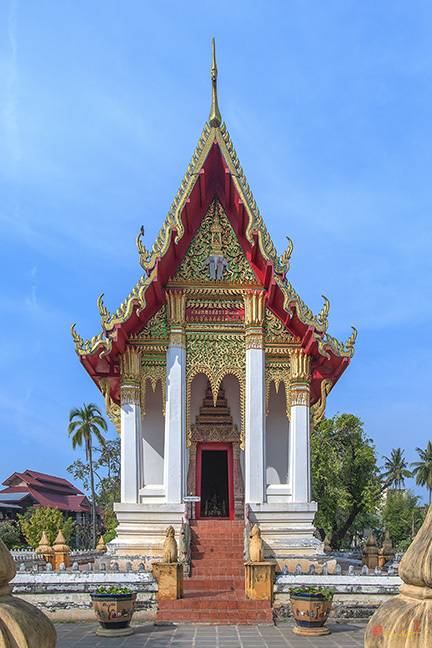 The art form of the Ubosot is, therefore, a mixture of the early Rattanakosin and Lan Chang styles. 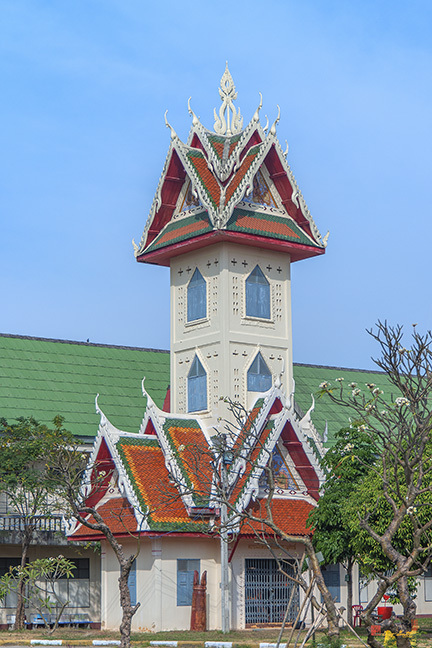 The lower structure of the Ubosot is in the northeastern style and the roof is of the Rattanakosin art form. 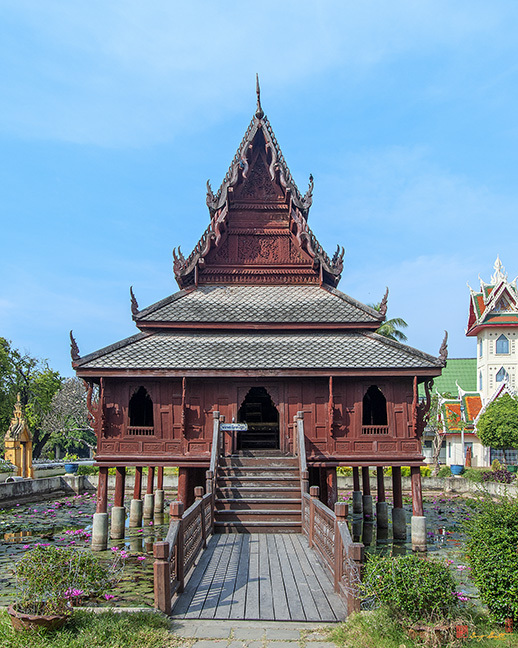 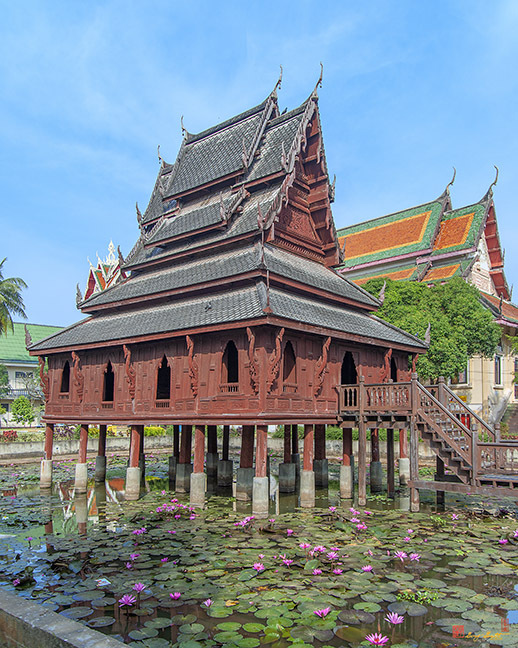 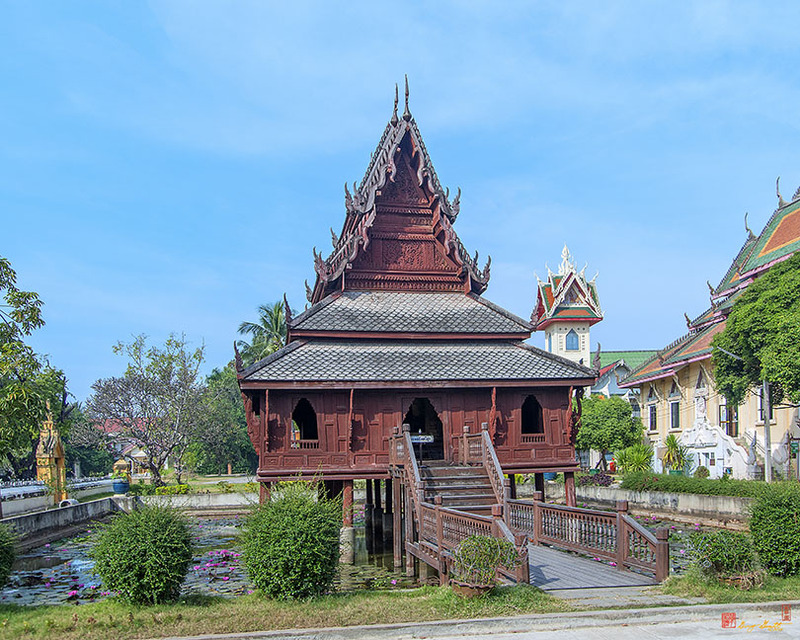 A scripture hall or library (called a mondop in Thai) named Ho Phra Traipidok or Ho Trai Klang Nam is located in the middle of a pond, and features a roof that shows the Burmese architectural style while the lintel is carved in Laotian architectural art. 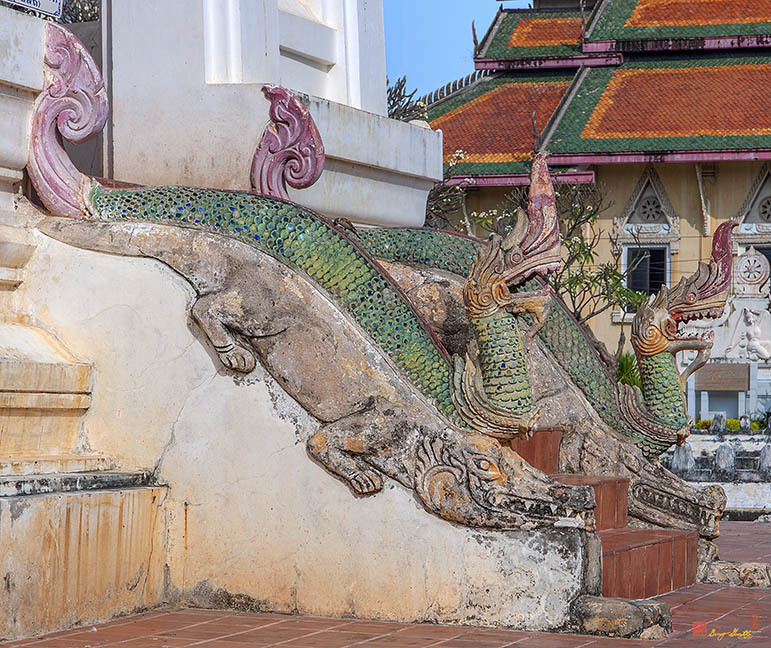 Mural paintings in the temple feature the civilizations and cultures of the people of Ubon Ratchathani over 200 years ago. 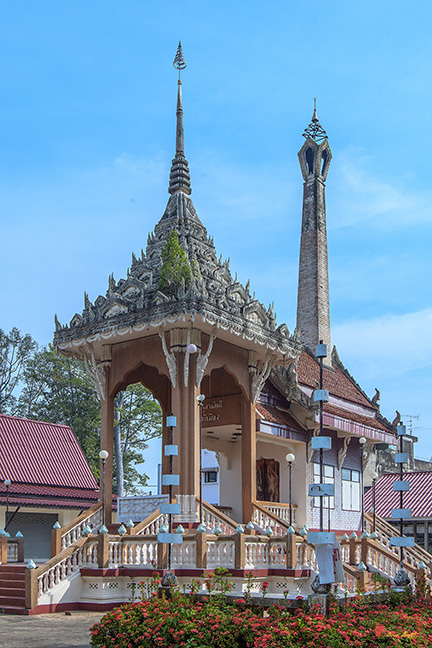 Nai Muang sub-district, Muang district Ubon Ratchathani. 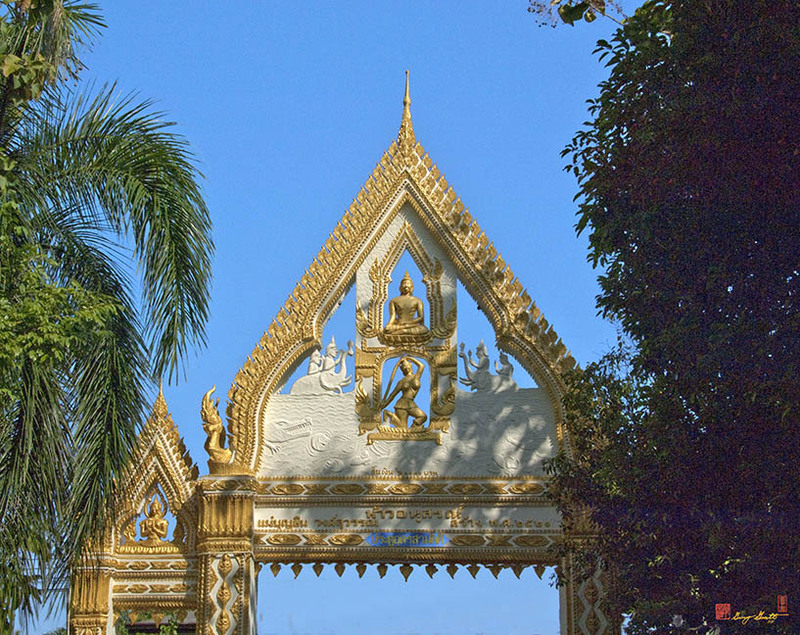 Chao Khun Phra Ariyawongsajarn Yannawimol Ubonsankhapamok (Sui Lakkom) was the construction director of Wat Thung Si Muang during the reign of King Rama III in the year B.E. 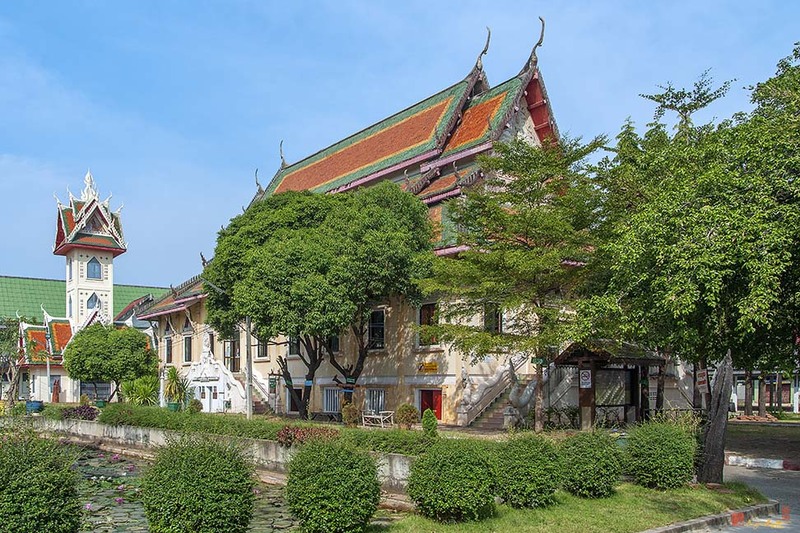 2385 (1842 A.D.). 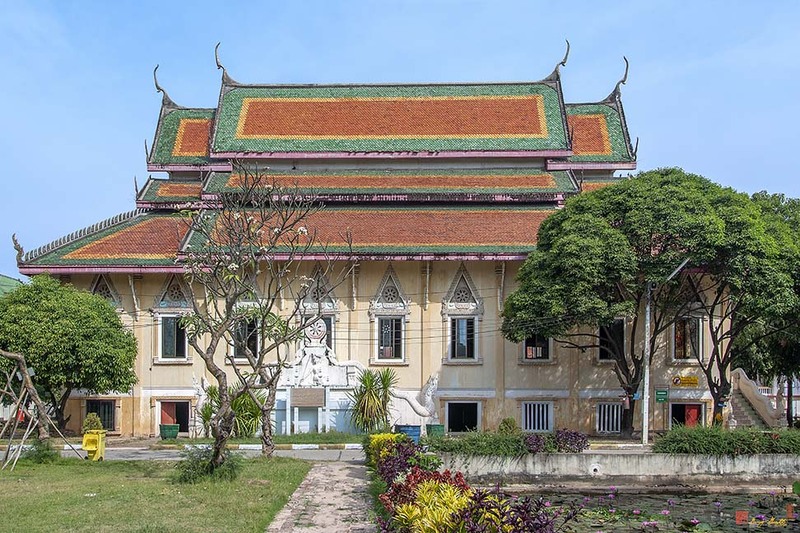 Hor Trai or Tripataka Library (the Buddhist Scripture Library) was built at the same time with a Buddha Footprint Hall and the Main Chapel. 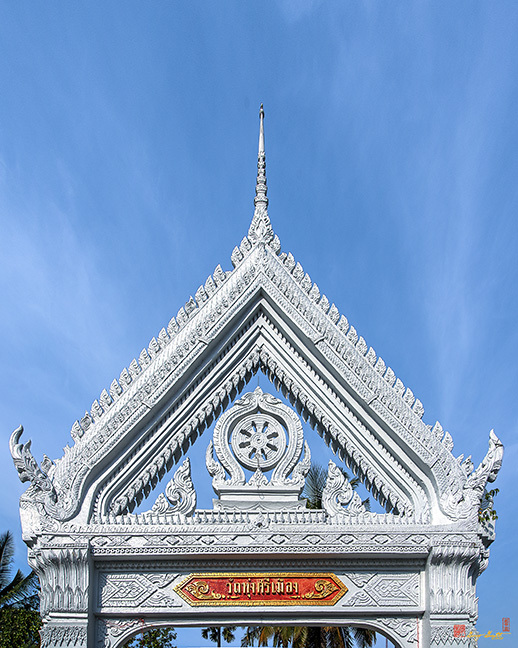 The construction was under the supervision of Yakoo-Chang, a Buddhist monk from Vientiane, Laos. 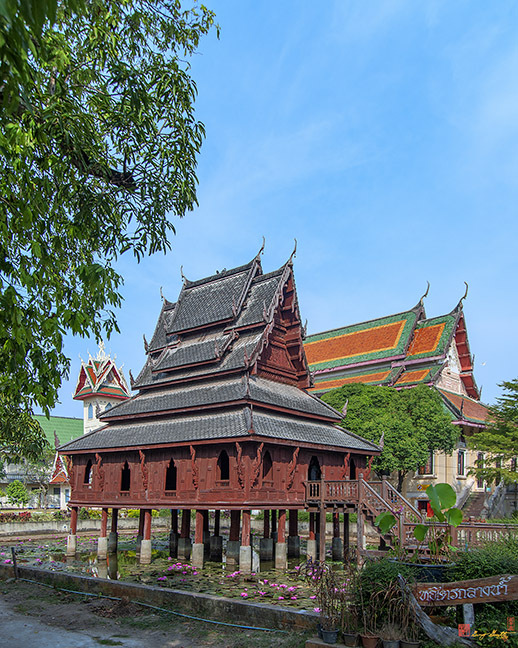 The Library, facing east, is 4-room length (a typical Thai housing measurement) and is assembled using Pha Pakon, a typical wooden wall of the central Thai style house. 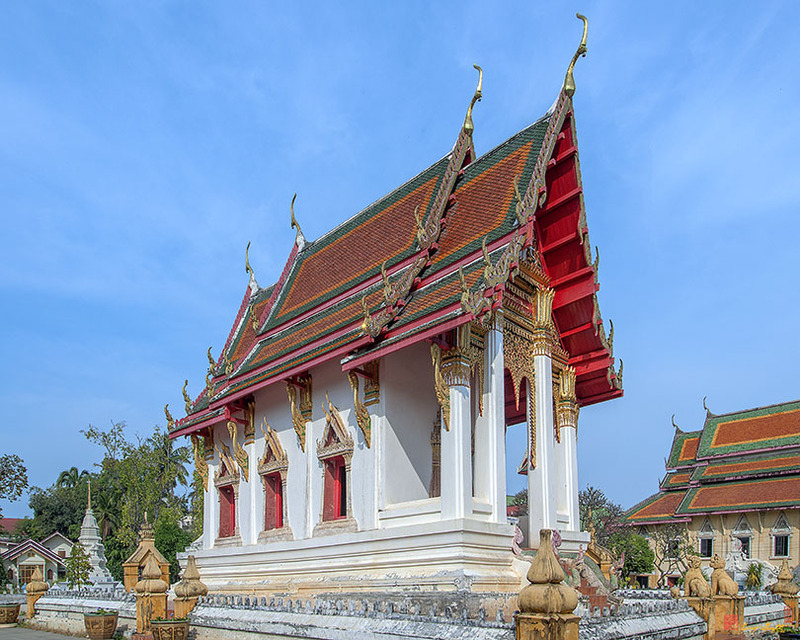 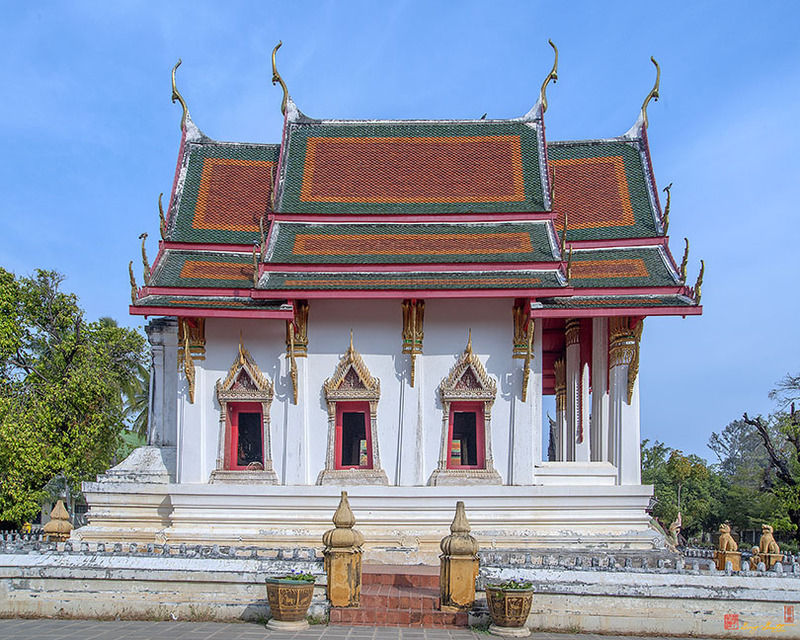 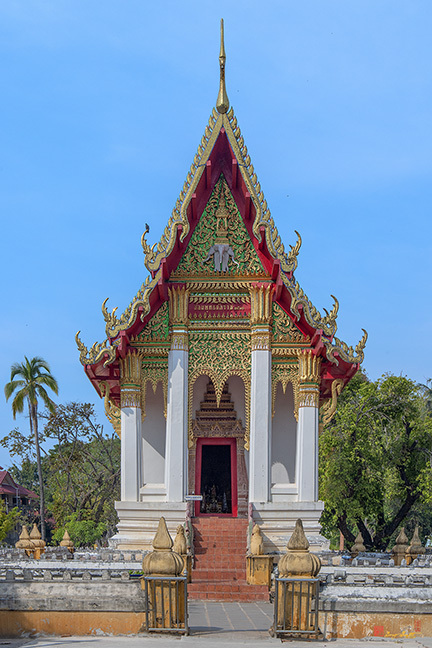 Interesting decorative items are wooden roof-braces, carved figures of Thep Phanom (the guardian angel) and Naga (the mythical snake), woodcarvings of assorted animals in rectangular frames underneath the wall, and gilt-lacquer decorated doors and walls. 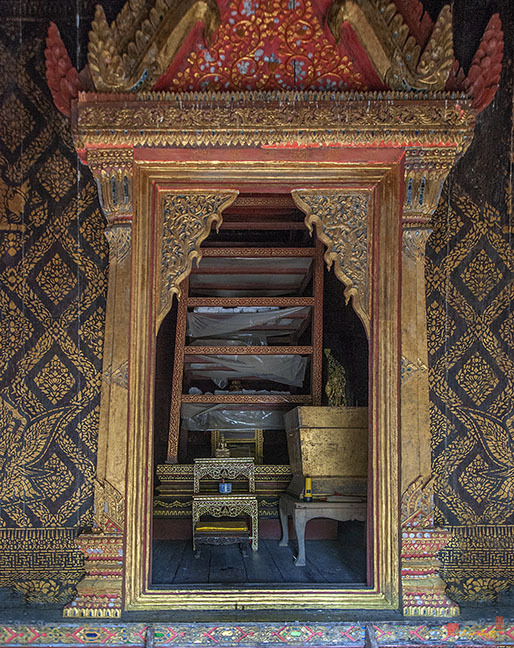 Tripataka (the Buddhist scripture) and palm-leaf books are kept in this room.